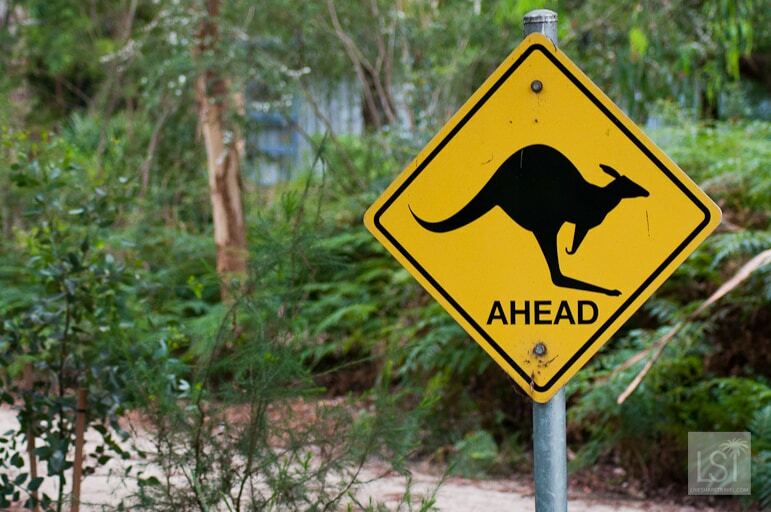 I hadn’t had the most stereotypical experience in Victoria – certainly not one most people would associate with a trip to Australia. Instead of city hopping, diving and hiking large, dusty rocks, I’d sampled Mornington Peninsula’s gorgeous gardens and met some of its passionate food producers. So heading north east of Melbourne to the Yarra Valley, I wondered whether it would have a more traditional Aussie experience in store, or yet more great surprises. The Yarra Valley is one of Victoria’s major wine regions, where fields of vines hug viridescent hillsides. Wine is always perfectly paired with good food, yet my first stop in the Yarra Valley held a foodie surprise. One thing I didn’t expect to find in the heat of Australia is a fine chocolaterie. 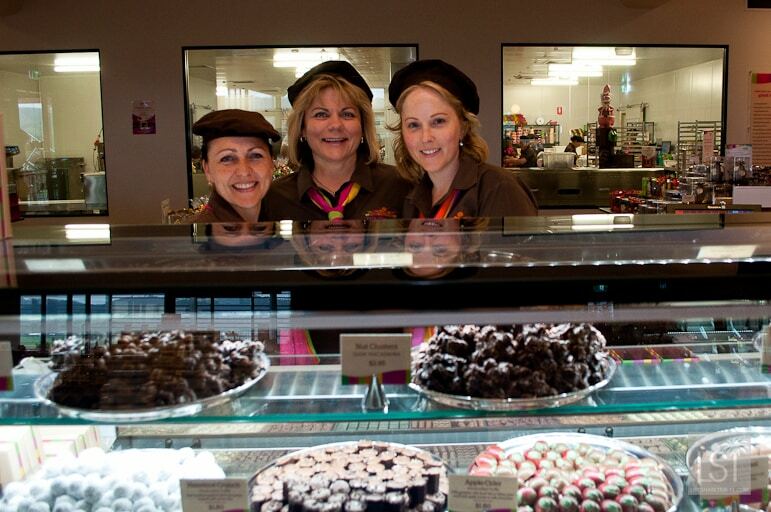 But Belgian-style chocolate has become de rigueur it seems, made popular by Yarra Valley Chocolaterie and Ice Creamery, a Willy Wonka-esque factory and sweet emporium outside the town of Yarra Glen. The chocolaterie was created by Ian and Leanne Neeland who focus on producing their chocolate and ice cream from as many locally-grown products as possible. And with 500 fruit and nut trees growing in their surrounding orchards they don’t have to look far. 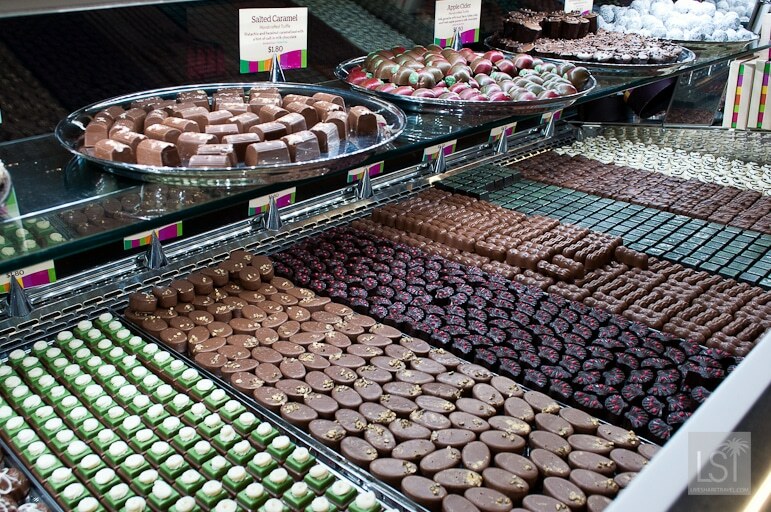 The chocolaterie makes over 200 types of chocolate. 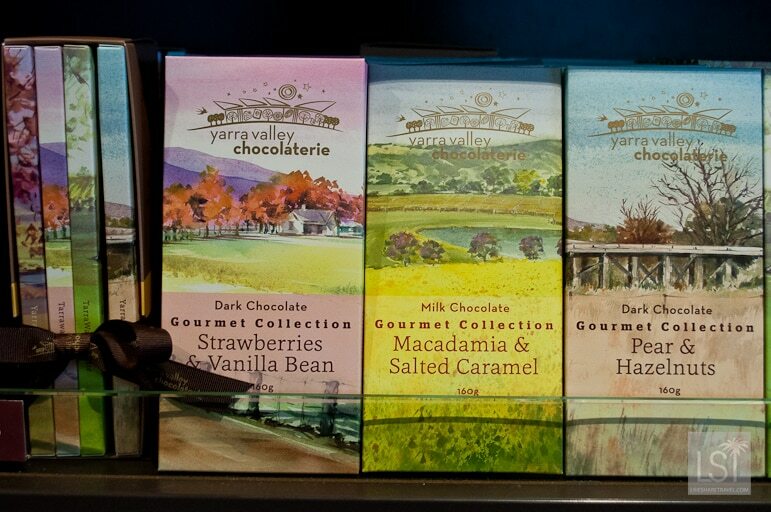 One of my favourite features in the shop was the Great Wall of Chocolate with a huge range of flavours, while local watercolour artists have painted scenes of the local area for some of the packaging. 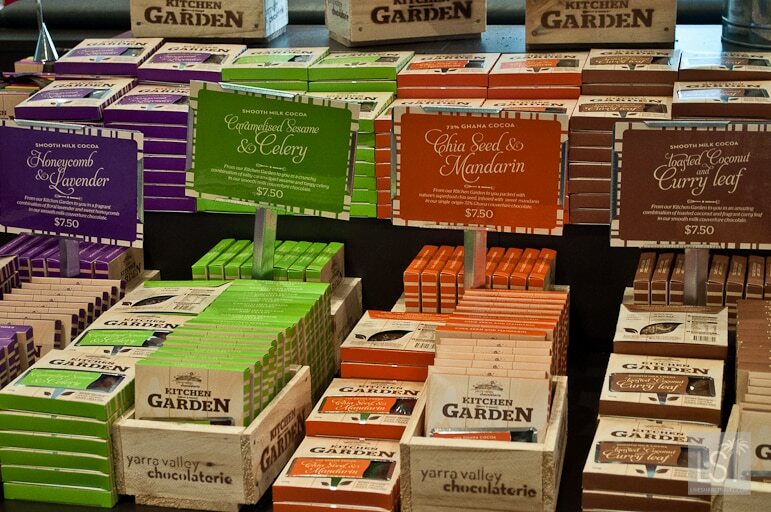 Among the chocolaterie’s products are its Kitchen Garden range where it wraps unusual ingredients like curry leaf and coconut, rosemary and orange, and fig and fennel seed in it’s delicious couverture. 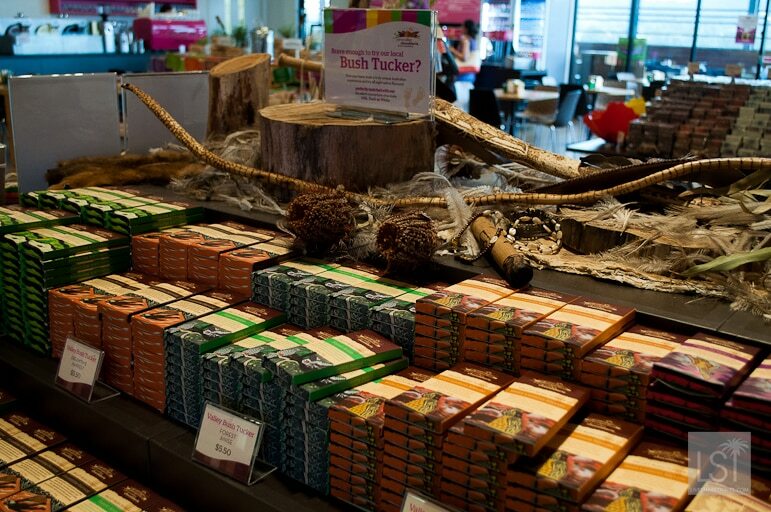 As the chocolaterie is within a culturally sensitive area of former indigenous land, the local Aboriginal tribe was invited to be a part of the building and the chocolaterie created a Bush Tucker range using indigenous ingredients like paper bark, whattleseeds and lemon myrtle. Fifty cents from each bar sold goes to the tribe’s arts and well-being programme. While there’s an array of pralines, ganaches and nougats, much to the disappointment of the Belgian chocolatiers, the locals can’t get enough of its less fanciful Rocky Road chocolate bars. Another favourite is its mugs of hot chocolate made with the rich couverture chocolate – I tried one and can’t wait to go back for another. But it’s drinks of a more intoxicating nature that the Yarra Valley is famous for. 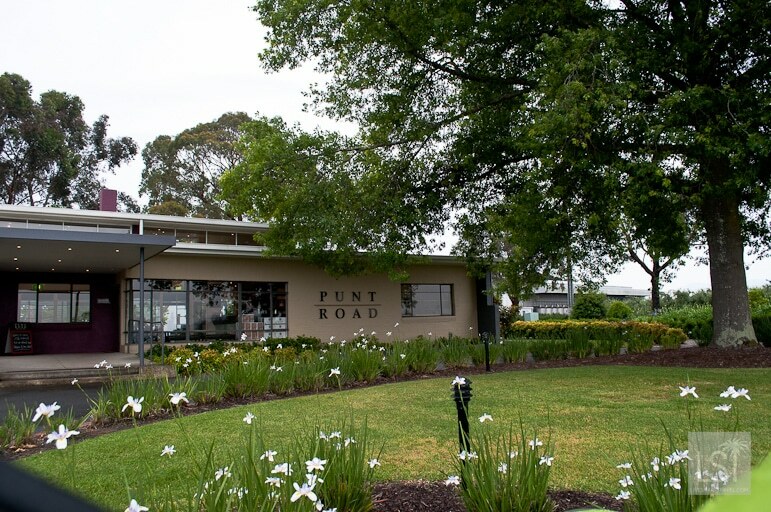 Its wineries produce some of the most acclaimed vintages in Victoria, and I enjoyed a tasting at Punt Road, winner of the best shiraz in the Yarra Valley in 2013. But Yarra Valley isn’t just famous for wines. Coldstream Brewery has tastings of its bitters, pilsners, ales (including seasonal varieties such as Summer Ale, Chocolate Winter Ale, Spring Lager and Autumn Porter) and you can pair them with a freshly cooked pizza. 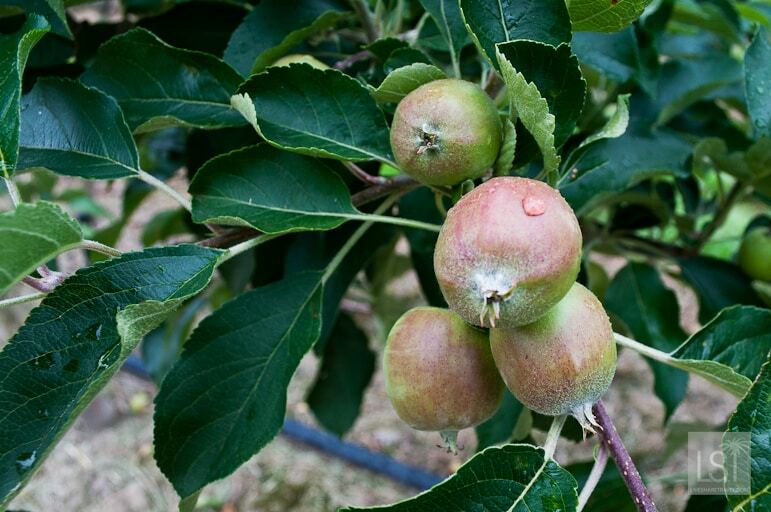 Yarra Valley’s rich soil also produces fine fruits and has made cider a popular export. 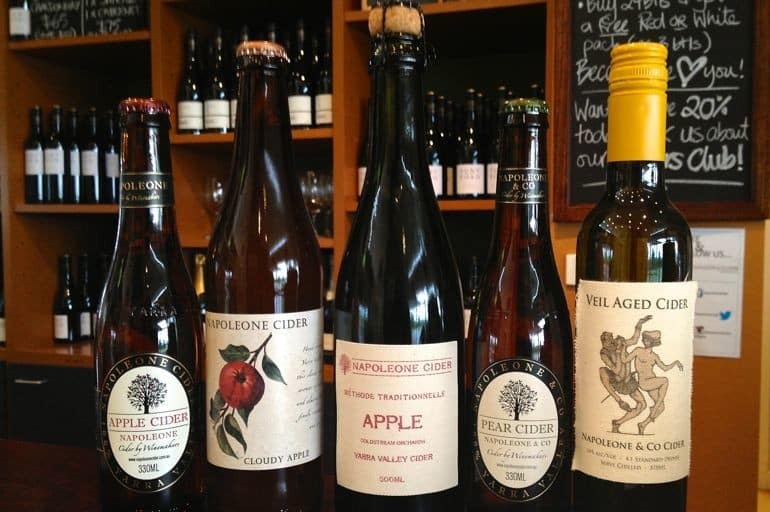 Punt Road too produces a tasty range of ciders under the Napoleone label, ranging from crisp to fruity. Australia is rightly famous for its nature. But during my time in Victoria I’d only had a less than welcome snake encounter (I’m not a fan, but others would likely have been fascinated) and experienced its stunning rose gardens. 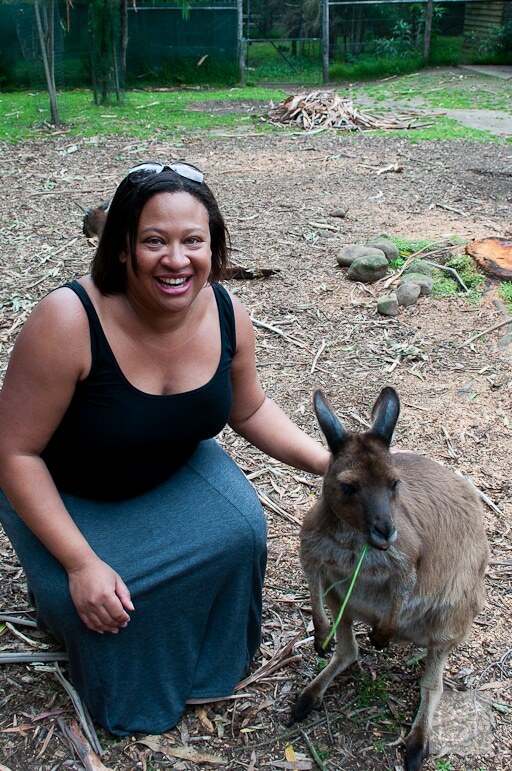 But at Healesville Sanctuary in the Yarra Valley, I had the thrill of animal encounters with Australia’s more cuddly creatures. 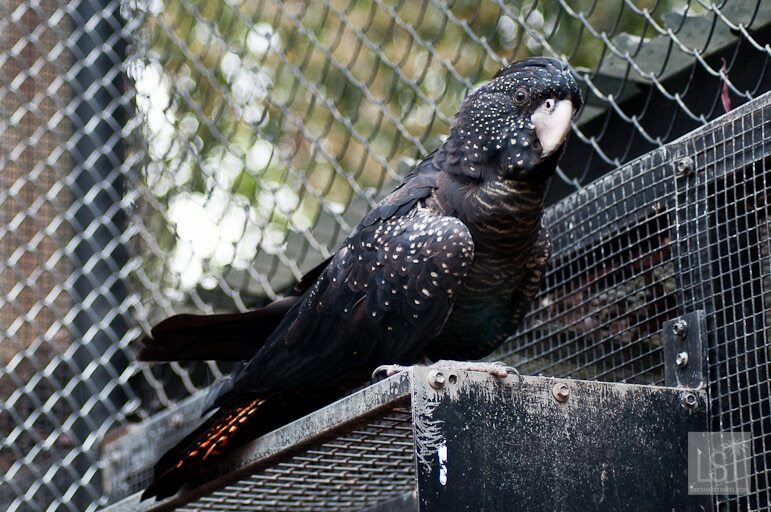 Healesville Sanctuary is part of Zoos Victoria. 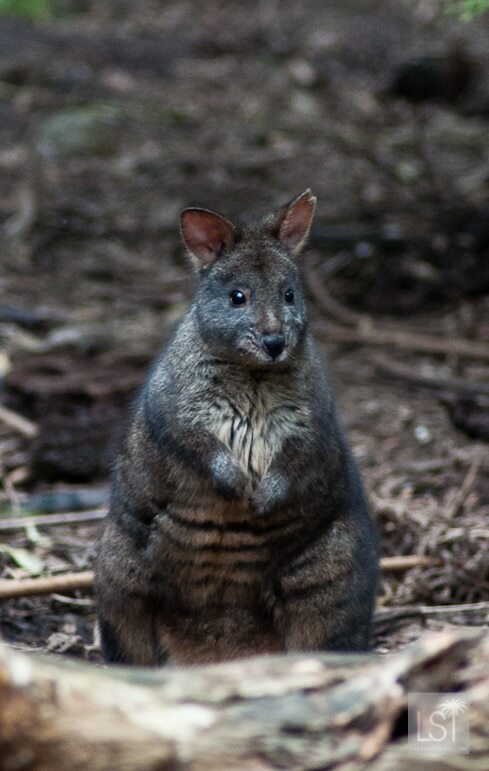 And while the other zoos are home to animals from around the world, Healesville is a haven for Australian wildlife. While I watched school children’s eyes widen with wonder as they studied its birdlife, reptiles and marsupials, I couldn’t help but join them. As reptiles aren’t especially my thing, I made a beeline for the more attractive creatures, stopping first at the bird enclosures. I’d already fallen for Australia’s birds as they swooped across blue skies during my time in Mornington Peninsula. 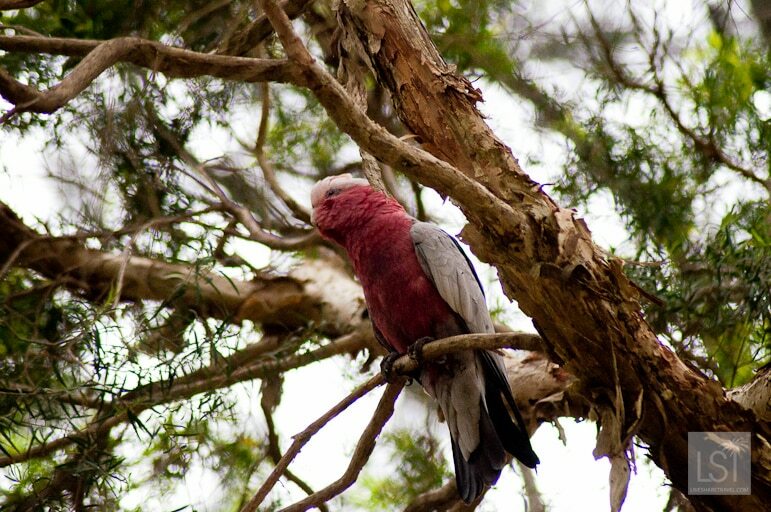 I loved the sqawky white cockatoos, the (flaming) galahs that pootled lakeside at a couple of hotels I’d stayed in, and the flash of red and blue as rosellas streaked across the landscape. 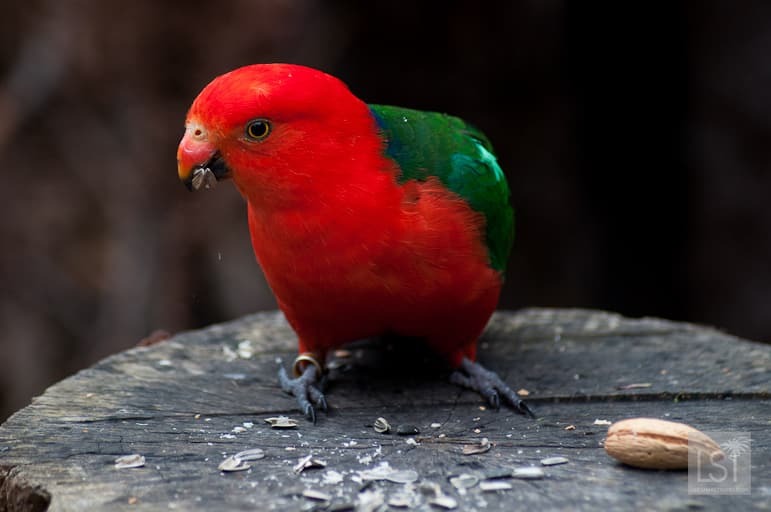 So I enjoyed meeting yet more of Australia’s beautiful birds including parrots, red-tailed black cockatoos and the lyre bird – one of the world’s greatest impersonators. 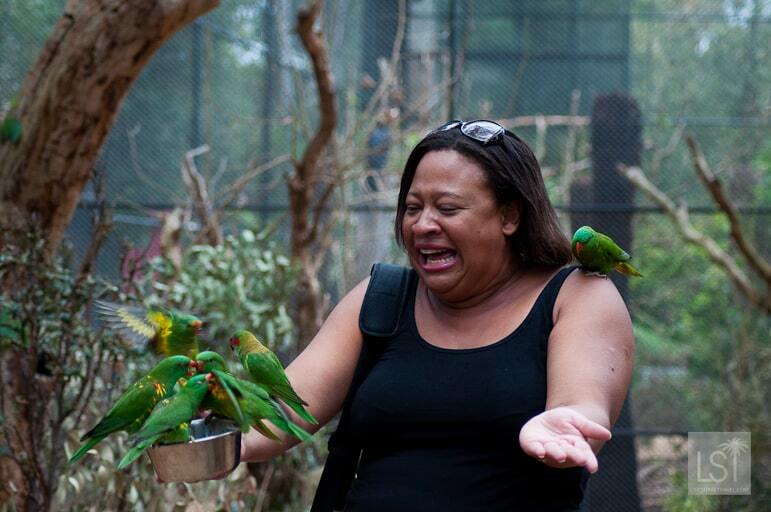 I even had some lorikeets swooping to rest on my shoulder, head, and hands while they ate seeds. 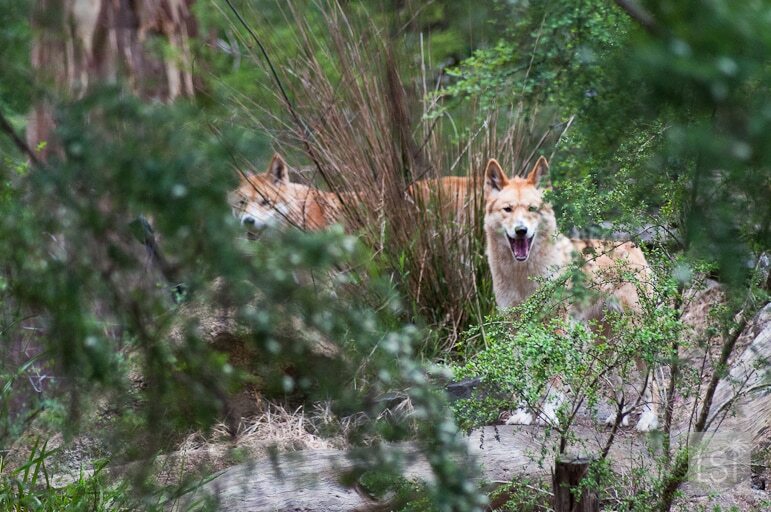 More animal encounters were to follow as I spotted dingoes, wallabies, wombats, Tasmanian devils (the sanctuary has a fantastic breeding programme to help boost numbers of these endangered creatures), kangaroos and more – stopping to feed or stroke the more friendly of them. I had often feared Australia’s animals. I largely filed its fauna under ‘big hairy spider’ or ‘ferocious snake’, but Healesville Sanctuary made me realise I’d written off some wonderful creatures that are unique to this giant island. 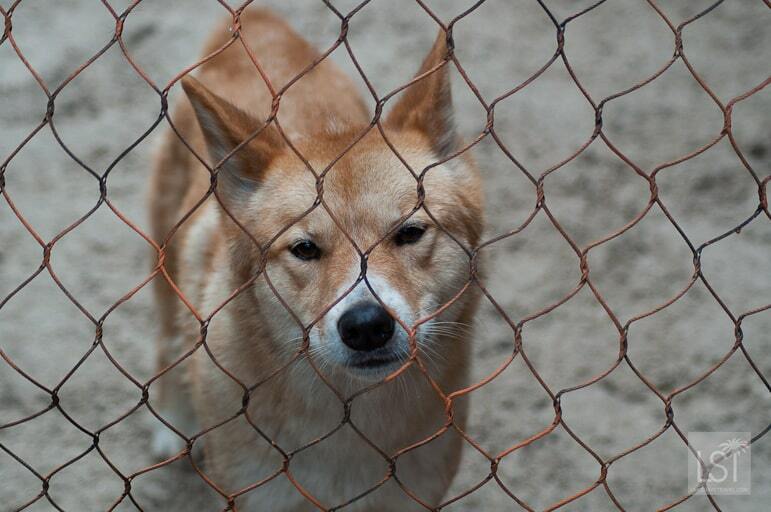 I fell in love with the maligned dingo, and marsupials – from pine-cone shaped wallabies to rotund wombats and friendly kangaroos. 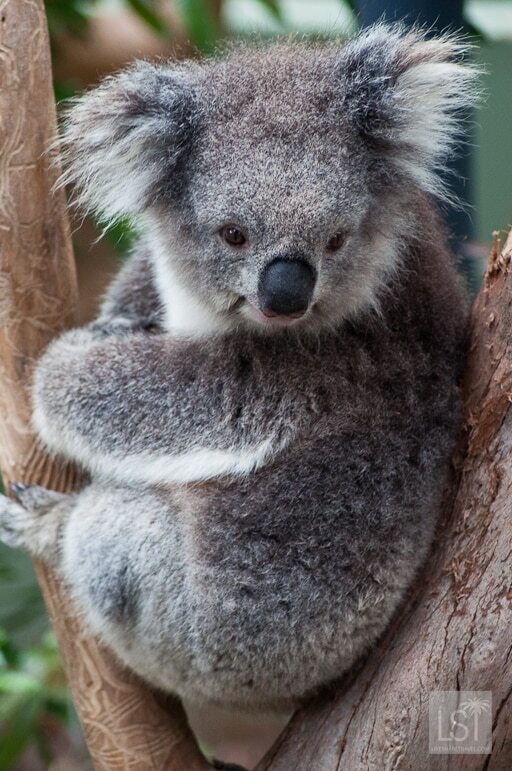 But I’ve always loved a koala, and this little fellow in particular, won my heart. This story is from my #MelbourneTouring trip, created and managed by iambassador, Tourism Victoria and Visit Melbourne in partnership with Royal Brunei Airlines. As always all opinions are my own. And really, who wouldn’t be won over by the cuteness above? Look at that koala photo!! So cute and that chocolaterie looks fantastic as well – could do with one of their hot chocolates in this British cold weather! Lovely post! I am adding the Yarra Valley to my list for when I’m back in Australia. LOVE the photos of the animals. 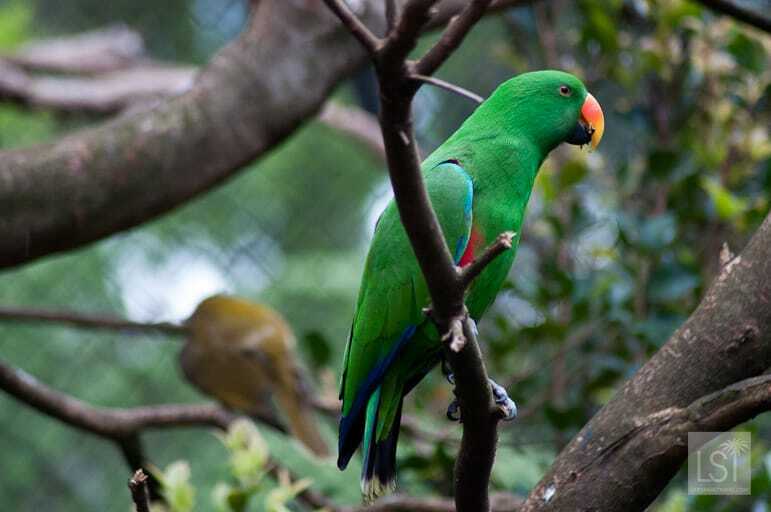 It makes me yearn for a land of parrots.